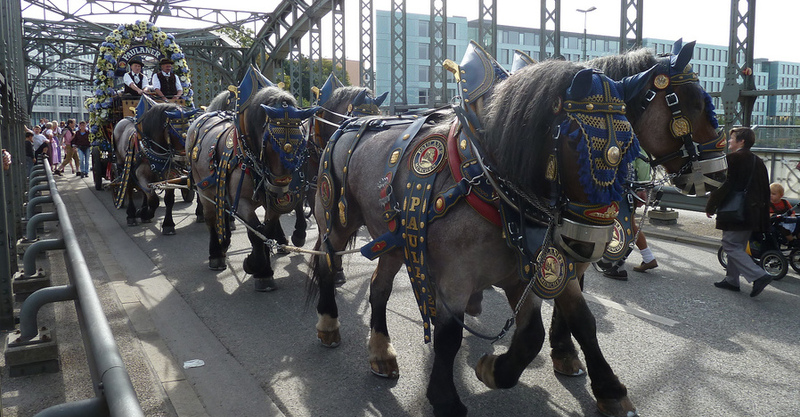 Alright, these horses I saw in Munich were OK. I have to admit that I’m not a big fan of horses. I don’t dislike them, either, but I’m just not into them. I’m glad they exist but if I went through life without riding one, I’d probably be fine. Having said that, I noticed recently that they’re often deployed in movies and videos as magnificent beasts. Take these three music videos. Feel the magic of the airbrush. Thanks for reading, and wherever you are, keep clear of the stampeding horses! This entry was posted in Horses, Uncategorized and tagged Caballo, Funny, Horse, Music Video, Pferd, Weird by Sitzman. Bookmark the permalink.